Moloch horridus is the scientific name for the Thorny Devil (Dewey, 2009). The genus Moloch simply means Thorny Devil, Mountain Devil (Dewey, 2009). Moloch horridus is a member of the family Agamidae. Members of the Agamidae have well developed limbs, keeled scales, middorsal crests, and throat flaps (Heying, 2003). Like other Agamidae, Moloch horridus digs burrows to escape the sun and also to lay its eggs. This lizard is heavily spined and can inflate itself with air to intimidate predators when threatened (Heying, 2003). Figure 1. 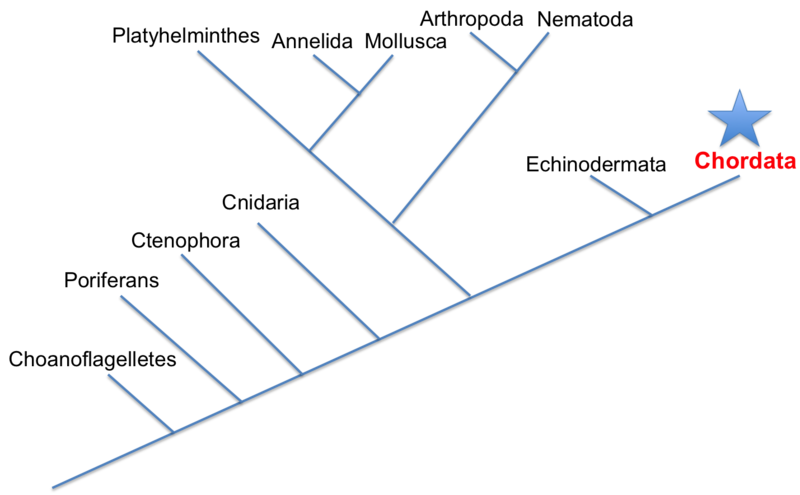 Phylogeny showing that Moloch horridus is part of the Agamidae. Moloch horridus is a member of the order Squamata. Squamata comprises all lizards and snakes. Some characteristics of the Squamata include thorny scales, shedding of skin and unique jaws (Squamata, 2008). An example of a member of this Order is the Southeastern Pigmy Rattlesnake. Moloch horridus is a member of the class Reptilla. This class includes all snakes and lizards. 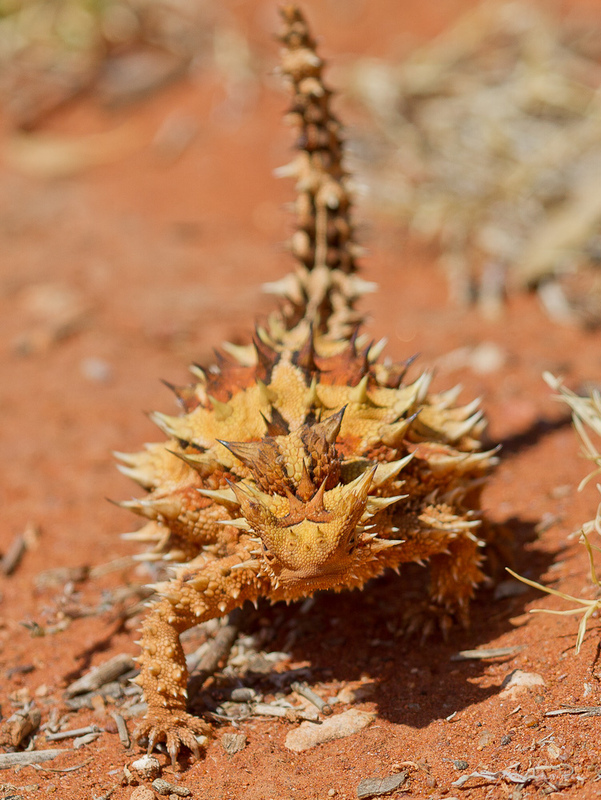 Some characteristics that show the Thorny Devil include laying eggs, using lungs to breathe, and having scales (Myers, 2001). Some examples of the class Reptilla include the Bamboo Pit Viper and the Reticulated python. Moloch horridus is a member of a subphylum called Vertebrata. Some characteristics of this sub phylum include a vertebral column that surrounds a noto chord. The general body layout includes 2 pairs of appendages, a tail, a head, and a trunk. These organisms have an endoskeleton that allows for muscle attachment (Myers, 2001). Moloch horridus is a member of the phylum Chordata. As we move up the chain we are getting broader in terms of shared characteristics. The big characteristic in chordates is the structure of a notochord that allows for support during locomotion. A few other characteristics of chordates include bilateral symmetry, an endoskeleton, and a segmented body (Myers, 2001). Figure 2. 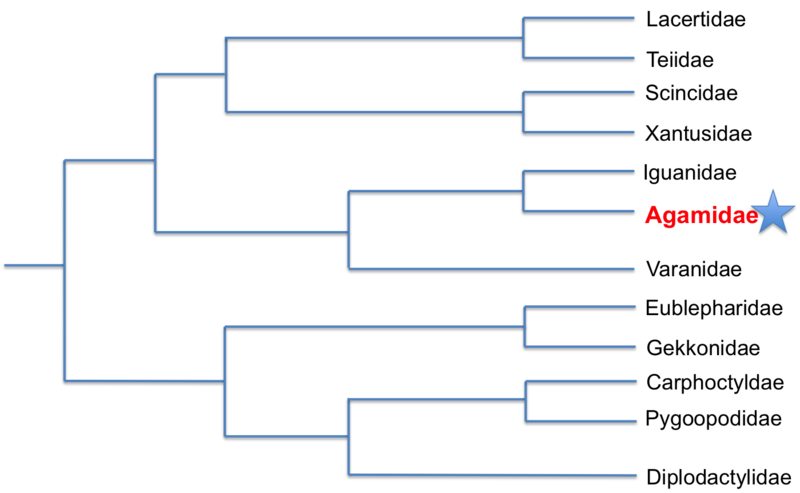 Phylogeny showing that Moloch horridus is a member of the Chordata. There is no surprise that Moloch horridus belongs to the kingdom Animalia. Members in this classification encompass a large variety of different multicellular organisms. One characteristic that separates this kingdom from the others is the lack of rigid cell walls inside their cells. Organisms in this kingdom are heterotrophic, meaning they rely on other organisms for food (Myers, 2001). Some examples include the Eastern Gray Squirrel, the American Crocodile, and the Red Rock Crab. Moloch horridus is member of the domain Eukarya. Eukarya is divided into four groups including plants, animals, protists, and fungi. Some broad characteristics of organisms in the domain Eukarya include multicellularity, a nucleus, and membrane bound organelles (Keeling, et al., 2009). Click here to continue on to our Habitat or go back to the Home page.